Ingredients: Leeks 40%, zucchini 40%, extra-virgin olive oil, parsley, apple vinegar, sea salt. The delicate flavour of zucchini perfectly goes with leek that has a less interfering taste than onion, but has excellent medicinal properties. 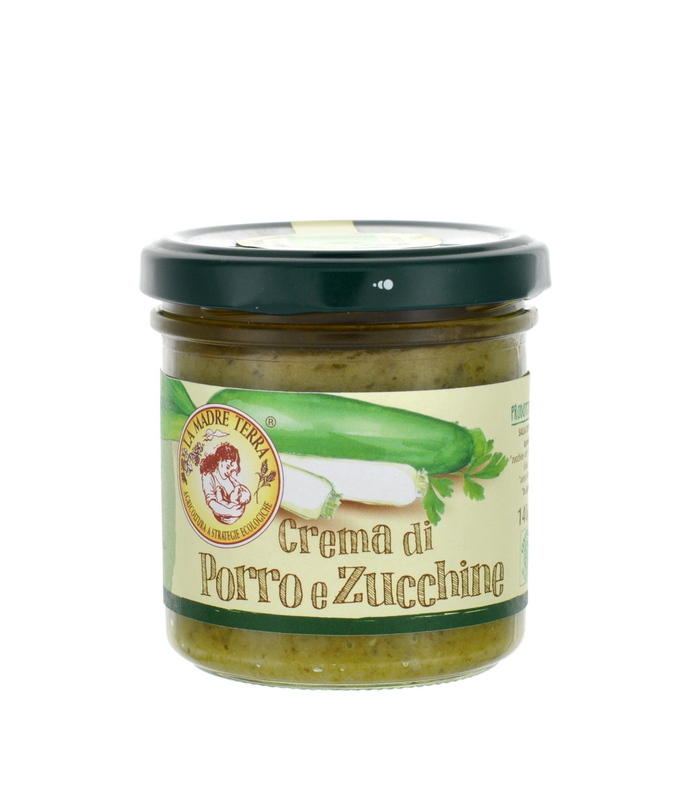 Thanks to the homemade production, the result is a titbit and pleasant cream that is excellent for canapés, pasta or risotto and to enrich your meat or fish dishes. Our creams are different from the others because of the natural and authentic taste of the vegetables they are prepared with.